It’s time for a bit of skate community solidarity. 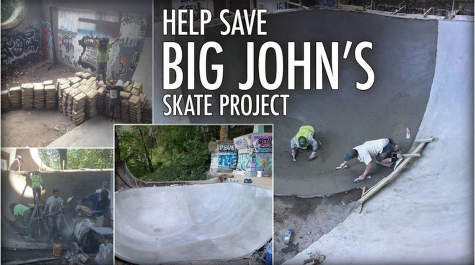 The Big Johns Skate Project needs your support. Sign the petition in support of preserving the spot. CLICK THIS LINK TO SIGN THE PETITION. EPM “Skate and Create” Out! The second, hopefully annual, Unheard Invitational is in the books. Who won? Everyone that skated and had a great time, that’s who. Need proof? Well, check it out after the turn courtesy of the Bacon crew. EPM “lip sizzlin’ shredding” Out! Early sunsets make for more abundant sessions under the lights. That is, if you have lights(on the wish list for Portland skateparks). Fortunately, MC is a luminary and made sure his “Fortress of Shreditude” was electrified. Check out a few pics from last night’s session courtesy of HooperFly. EPM “dark nights return” Out! Hopworks is generously donating their space to show off “for sale” Artwork and Photographs by esteemed artists and photographers! 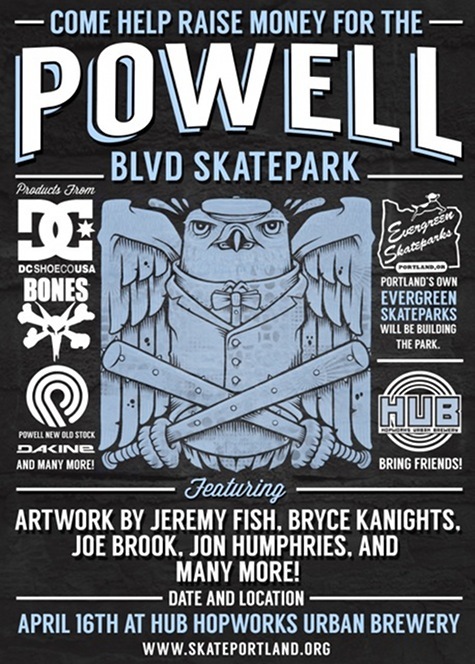 All drinks and food on this day will be profit shared with Skaters for Portland Skateparks to benefit the Powell Blvd. Skatepark project!. Additionally, we will be having a swap-meet style product sale for new product donated by various sponsors! 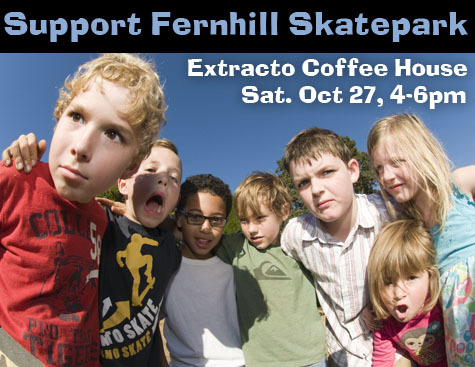 Come on over to Extracto Roasters on Saturday afternoon, October 27th from 4-6 p.m., for the closing of the Fernhill Skatepark art benefit. 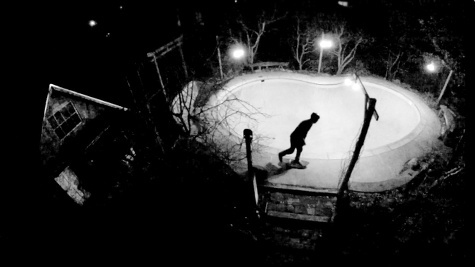 There are still plenty of great photos for purchase and all proceeds go to building another “sick” skatepark here in our fine city. Word has it that the star of GVK will be in attendance along with other skate community folks. Check out the photos on display after the turn. EPM “skate, create, repeat” Out! 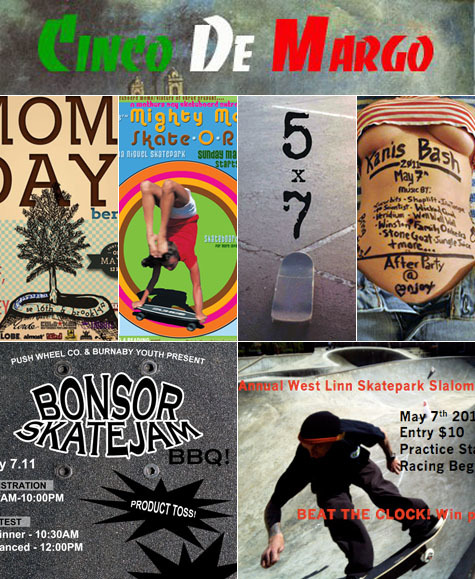 It’s time once again for Cinco De Margo, a benefit for the Marginal Way skatepark. So grab a sombrero, your skate, and hightail it to Marginal Way for all the tacos you can eat. Check out more details on the flier after the turn. EPM “badges? we don’t need no stickin’ badges” Out! Calling all skate social butterflies, prepare to flap your wings. There’s a whole bunch of skate events going down this weekend and kicking everything off is this evening’s art show at Commonwealth Skateboarding. Get all the details by clicking the links below. EPM “future cone dodger” Out! 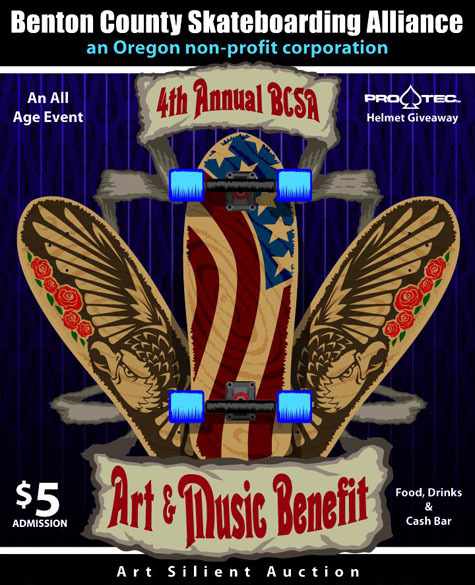 If you are looking for a skate related benefit to attend this weekend, consider the 4th Annual BCSA Art and Music Benefit. It all goes down tomorrow night, March 26th, at the Corvallis Elks Lodge starting at 6pm. It’s the only place you can get a great deal on some 8×10 photos of great skaters in gaudy frames courtesy of EPM. Check out all the details on the flier after the turn along with a digital preview of our donations. EPM “support your local skate community” Out! The weather is improving, outdoor sessions are increasing, and K.C.’s camera is rolling. Action! 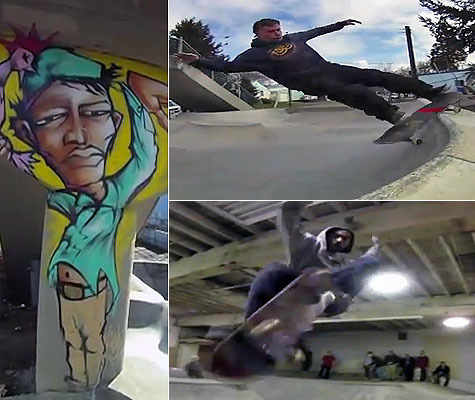 First up, last weekend’s session at Brooklyn Street Skate Spot followed by Paul Fujita getting his game of skate on at Cal Skate. Note the bonus footage at Commonwealth Skateboarding as well. Check it out after the turn. EPM “here we go” Out. What’s better than a double feature? Why, a triple feature, of course. 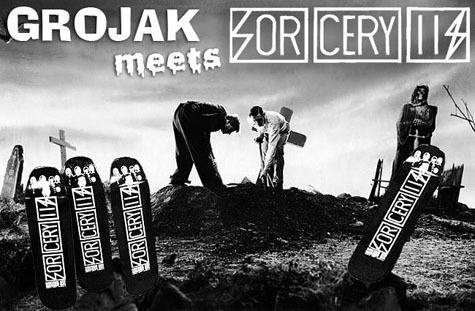 Count ’em, two new Sorcery 118 clips plus, the release of the Grojak Sorcery 118 Shape #95 deck. That’s three. Check out all the bone chilling action on this week’s Sorcery Saturday after the turn. No Spoons, No Knives, Just ….